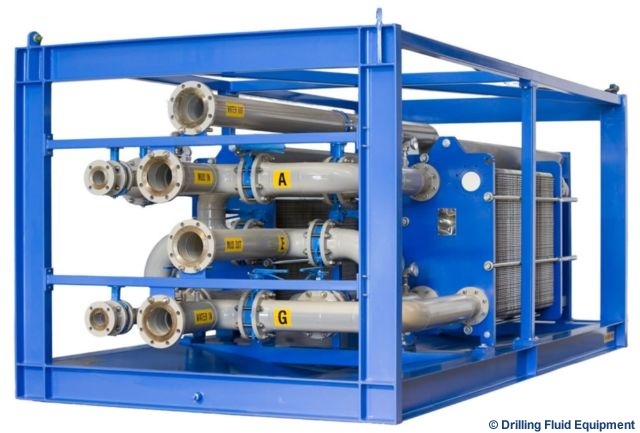 DFE “Bluefin” has been designed to provide a safe and efficient process for cooling drilling fluids on high pressure/high temperature well sites where oil based fluids are used.The Bluefin’s high efficiency heat exchanger, lowers operating costs and reduces the operational risk, by focusing on efficient mud heat transfer.The Bluefin offers an economical design in dimension and weight, with ease of sight operation and servicing in mind. A Titanium heat exchanger to resist corrosion. Barracuda option heat exchanger made from 316 Stainless Steel as a cost effective option.